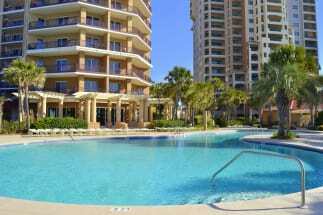 Welcome to Beachside One Condo Rentals! Beachside speaks for itself, the location is perfect! When you stay here, you can enjoy some of the most beautiful scenery in Florida from the comfort of your own vacation condo. You can relax on your balcony and soak in the sun, go to the beach or relax your body to the fullest and go to a spa. Beachside One has a variety of amenities like a pool, hot tub and more. If you choose to stay in one of these luxurious condos you will be able to take advantage of all of the amenities and necessities that are included with your rental. When you leave the complex, you can take full advantage of the area in any way you please. Some popular things to do are shop at Destin Commons, where you can enjoy the choice of over 90 stores and a few restaurants to buy whatever you want! People down here love golfing, bowling, parasailing, deep sea fishing, paddle boarding, going to the water park, rock wall climbing, jet ski rentals, zip lining and so much more! 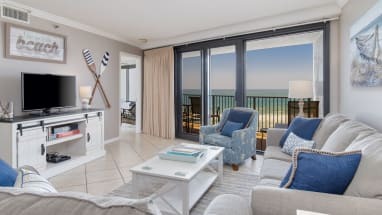 Scroll down now to view our selection of condo rentals at Beachside One in Sandestin FL. Be sure to click on the 'Email Owner' button found on each listing to contact the property owners directly. They will gladly answer any questions you have and assist you in the booking process. ECBYO does not charge any service fees when you book with us!